Phil Spencer doesn’t seem to be worried about going first at E3, as he mentioned on Twitter. @marquis_ray We set our tone and show. Others can react if they want to but I'm comfortable being the first platform briefing. @marquis_ray np, we have a lot of discussions about going first. It's a good question. Spencer seems confident enough that they are bringing the big guns at E3 2015. @marquis_ray I actually think they do less/none of this than people think. They have their own show to run but I understand the concern. An Xbox Daily video show during E3, which will be hosted by Larry ‘Major Nelson’ Hryb and Graeme Boyd, Xbox Live’s Acey Bongos. The hour-long show, which will stream on Monday, Tuesday and Wednesday at 7 p.m. ET, will include guests like Head of Xbox Phil Spencer and developers from 343 Industries, Turn 10 Studios, Crystal Dynamics and others. VIP access to the Xbox eSports Celebrity Challenge Tuesday night. 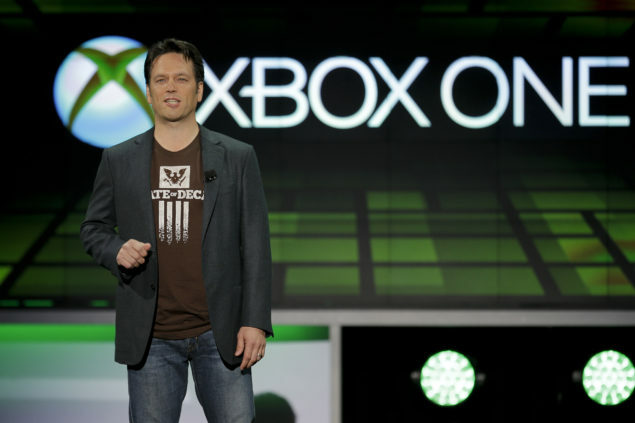 Microsoft is expected to show off Halo 5: Guardians, Forza Motorsport 6, Rise of the Tomb Raider and Gears of War. and reveal unannounced titles “coming in 2015 and beyond”. One or more titles from Rare are also expected, as well as a reveal of the new Crackdown title.